Formulated to support athletic performance and recovery - naturally sourced and made with the highest quality ingredients. 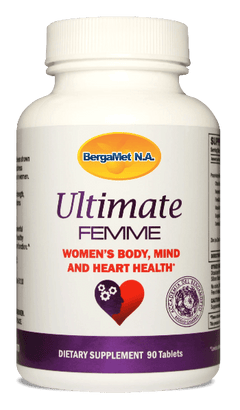 BergaMet Sport bergamot superfruit supplement is formulated to support athletic performance and cardiovascular health, help maintain healthy energy levels, and support muscle strength in addition to the cholesterol and cardiovascular support of BergaMet Mega+O. Like all BergaMet products, BergaMet Sport is naturally sourced and contains five unique antioxidant flavonoids that may help support healthy cholesterol, blood glucose levels, and liver function. Bergamot’s health benefits come from the fruit's unique profile of phenolic compounds, such as neoeriocitrin, neohesperidin, naringin, rutin, neodesmin, rhoifolin and poncirin. Naringin has been shown to be beneficial in maintaining normal inflammatory balance, while neoeriocitrin and rutin have been found to exhibit a strong capacity to quench free radicals and maintain healthy LDL cholesterol levels. For over 3 years players on Juventus Football Team have been using BergaMet with outstanding results. 2014-2015 saw the most successful Italian club in history win the coveted double (Coppa Italia and Scudetto Cup) and was a finalist in the Champions League (one of the most prestigious competitions in Football). Juventus have just won an unprecedented 5th straight league title and 9th since 2000 in one of the toughest competitions in football. Players incorporated BergaMet into their dietary and fitness programs with demonstrably positive results in the way of increased recovery, decrease in muscular injuries, improvement in fitness levels and less inflammation. The combination of natural antioxidants in BergaMet not only promote increased performance but has the bonus benefits of supporting cardiovascular health. “I LOVE the BergaMet Sport!!! I have seen substantial increases in my performance in all three disciplines of my sport, triathlon. My HR response is what really sticks out to me. I'm swimming and running at faster paces and producing more power on the bike with a much lower HR and RPE than before. It's actually pretty insane how much I have improved in each discipline in such a short time.